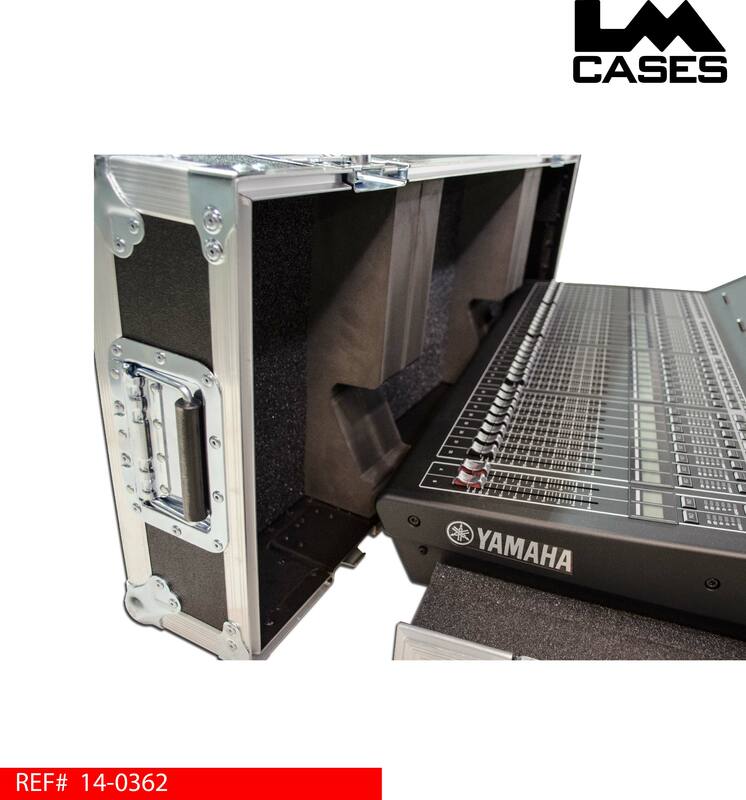 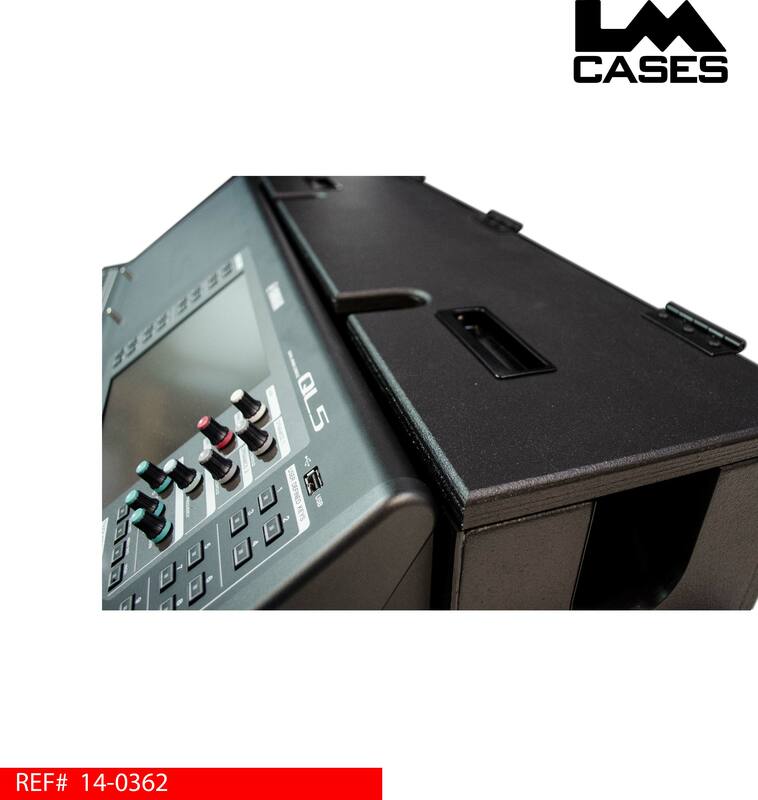 This case was designed for the Yamaha QL5 console. The case is a 3 piece design allowing the console to sit in the case tray during use. 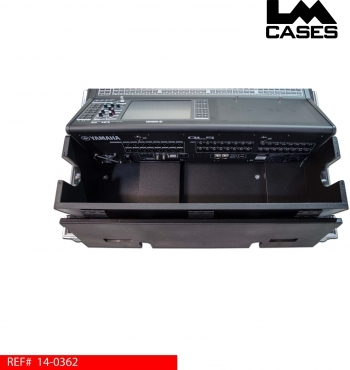 The console is secured via foam blocks at strategic points allowing for maximum shock protection. 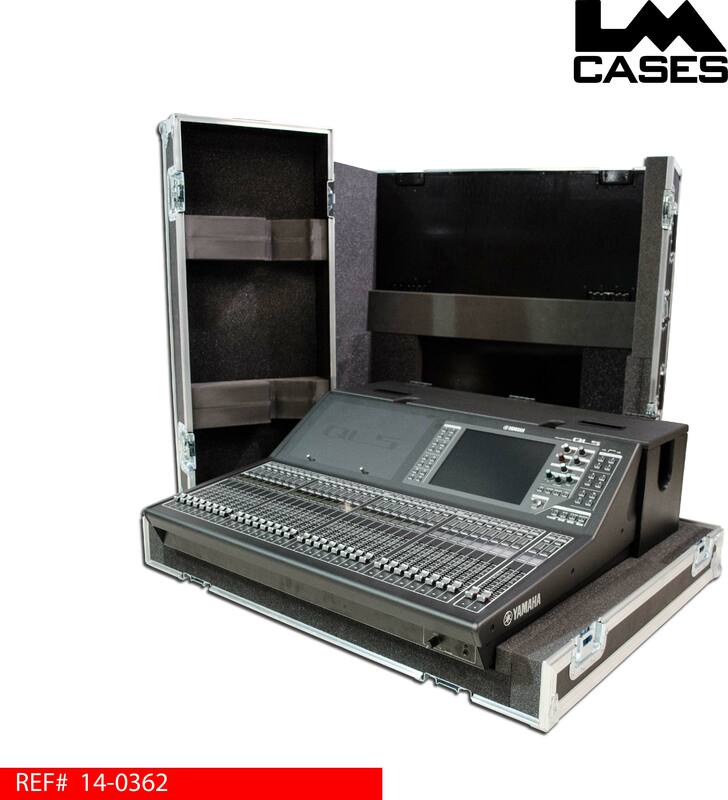 The arm rest is secured by custom contoured CNC cut foam blocks in the case lid to prevent the console from moving in the case during transport. All exposed areas of the case not lined with foam are treated with black texture coating. 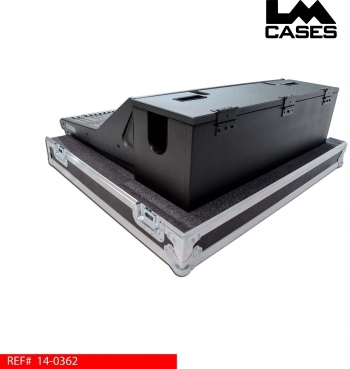 The case features an 8" deep doghouse that is built out of Baltic Birch and black texture coated. The doghouse lid folds back allowing easy access to all i/o points of the console. 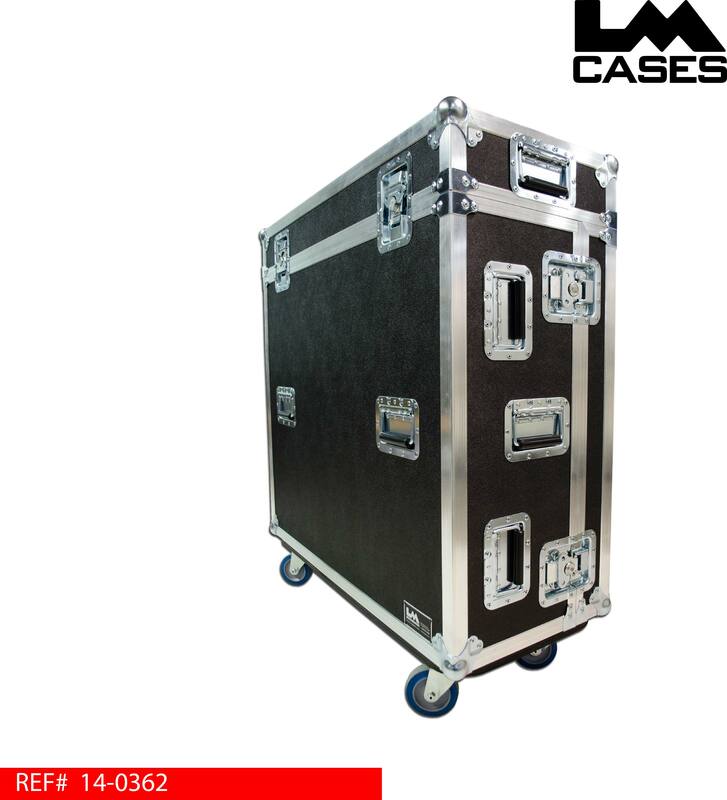 The exterior case is built out of 3/8" plywood and features 4" Colson casters and 14 deep recessed handles.